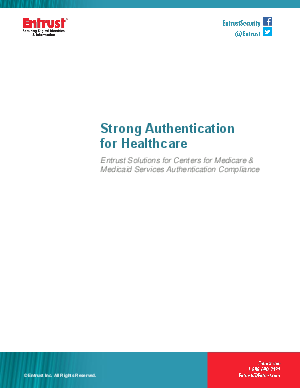 In July 2012, the Centers for Medicare & Medicaid Services (CMS) issued the standard for the use of multifactor authentication mechanisms in CMS systems. As an expert in multifactor and identity authentication, Entrust provides capabilities to healthcare organizations that far surpass the regulations. We work with many of the top healthcare organizations in the United States to ensure they meet the requirements set out to mitigate risk and the investment needed to fulfill their obligations. Depending on the CMS system being accessed, employees require an overall authentication level from 2 to 4, with 4 allowing access to all CMS systems.